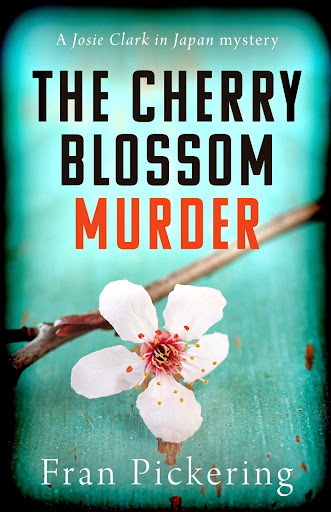 Earlier this year, author Fran Pickering released The Cherry Blossom Murder, debut novel in her Josie Clark in Japan murder mystery series, to critical acclaim. The book did incredibly well, competing against 10,000 entries to make it into the top 100 in the mystery and thriller category of the Amazon Breakthrough Novel Award. Now Josie Clark is back and Fran is treating us to a double dose of our intrepid crime-solving Londoner-in-Japan this week with a brand new novel The Haiku Murder and a novella The Tokyo Karaoke Murder. The Tokyo Karaoke Murder is the prequel to The Cherry Blossom Murder and sees Josie in Tokyo for an interview with insurance giant AZT Insurance. Eating alone after the interview, Josie is soon invited to join an engagement party and leaves with them for the karaoke. The evenings festivities come to a sharp halt when one of the party is poisoned and Josie soon finds herself accused of both murder and theft. With the minutes counting down to the end of their time in the karaoke booth, can Josie clear her name and find the real killer? The Tokyo Karaoke Murder is a fantastic introduction to the Josie Clark in Japan books and I do hope that the author will release many more novellas to accompany the series. We gain an insight into the highs and lows of being an expat in a foreign country, from the highs of meeting new friends to the anxiety of waiting to hear about a job. What I found most interesting about The Tokyo Karaoke Murder was how easily the author was able to switch from a crime solved over the course of several hundred pages in The Cherry Blossom Murder to one solved in just a couple of chapters. I really do like Josie Clark and far from being solved by chance and fortuitous coincidences, Josie's conclusions are based on logic and keen powers of observation. Once again, Fran Pickering captures the bright lights, aromas and culture of life in Tokyo and shinnichi (Japanphiles) will love these books. Special mention must go to the beautiful covers in the Josie Clark in Japan series which are designed by Andrew Brown of Design for Writers. These books are designed to be proudly displayed on one’s bookshelf. I would certainly recommend The Tokyo Karaoke Murder as I did The Cherry Blossom Murder back in February. Look out for my review of The Haiku Murder to follow shortly.